Less is more? Successful Streamliner made by rebuilt equipment. You are definitely right, Dave. I always forget to not using my personal preferences to replace RR’s official definition of their fleet when posting on the public forum. I personally don't consider passenger cars without skirting as streamlined equipment, but “structurally” and officially, if they had an arch roof or large picture windows with rounded corners after modification, they were really streamlined. 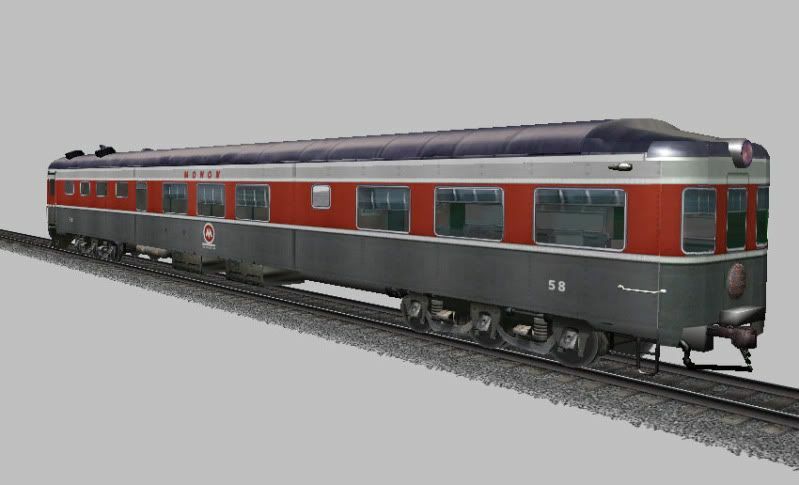 As a railfan who loves almost all streamlined things from the past, I especially care about the skirting of trains thus I am quite disappointed with the design of PRR P85b and all new passenger cars built in 50s since they almost had no skirting at all (I call them mini skirt ). I understand that it was much easier for maintenance and good for heat dissipation without skirting, but I believe this is not a difficult task to sort out, many high-speed passenger cars in EU had skirting under their passenger cars. 100 were built as USAX 89300 to 89399. All sold in 1947. 25 cars were sold to Ringling Brothers Circus as Dormitory cars. One preserved. 28 cars sold to Monon, used as coaches, parlor, diner, observation. Some cars included a lunch counter, one observation included dining seats. 5 cars sold to Southern Pacific as baggage dormitory cars. 10 cars sold to ACL. Most as Baggage Dormitory cars, one full baggage and two Business cars. One car not used. So where did the Amtrak cars come from? Come the Korean War, 63 more Hospital Cars were ordered from St Louis Car in 1951, delivered late 1952-early 1953, USAX 89506-89568. These had similar bodies to the 1944 cars but had four wheel trucks. 58 cars were sold to Amtrak in 1973, a few as 32 seat bar-lounge cars, most as baggage-dormitory cars some of which had HEP generators, and one as an instruction car. Fifteen cars were sold to the South Branch Valley Railroad. St Louis also built 89 much shorter Army Kitchen Cars USAX 89600-89688 in 1953. 69 of these became Amtrak Baggage cars, of which six were fitted as HEP generator cars. These were built under licence to Budd by Carel Fouche in France. 1969 for the Paris Marseilles Nice "Mistral" service. There were of course matching dining cars and both open centre corridor cars and side corridor compartment cars were built. 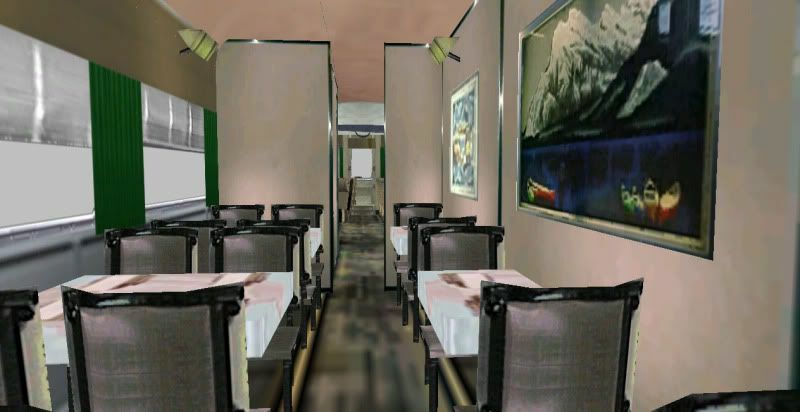 All the centre corridor cars had amazing folding tables that could either act as a full dining table or disappear into the side walls. The side corridor cars had all glass full height partitions and glass sliding doors, so the view from the seats on the corridor side was as good as the window side. The seats reclined. Matching cars with HEP generators were provided to allow operation on different overhead line voltages without break. Many of these cars are now in Cuba. Thank you for providing detailed imformation of these Army Hospital Cars, Peter. I can find more pics of them by adding the term "USAX" in the search engine. 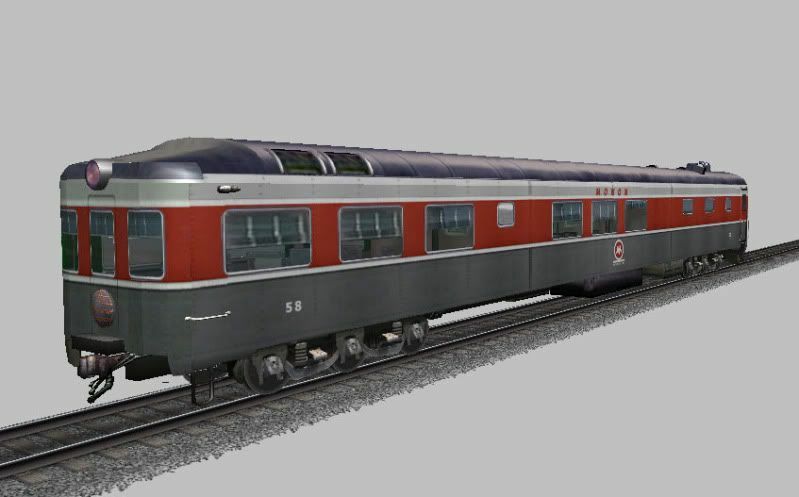 I can't find a pic of the rebuilt observation cars front end, it was an interesting design which compromised aesthetics and architectural structure of the car. On page 181 of Arthur Dubin's "More Classic Trains" there is a clear photo of the observation end of Monon observation car number 71. These two books were based on Trains magazine articles, so this should be in the compilation DVDs also.